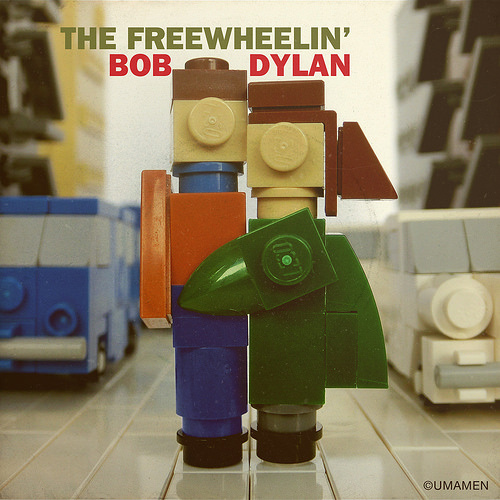 Right at the time when cold winter months are coming, umamen favours us with an incredibly touching and warming brick-built version of the artwork for Bob Dylan’s 2nd album “Freewheelin”. I have no idea how he managed to enliven this handful of pieces, but the way Suze Rotolo’s figure clinges to Bob’s makes my heart melt every single time. The background is something that takes a moment to notice, but contributes to the whole.